The goal of CEDARS Group is to provide comprehensive eating disorder recovery services in the Midwest that will provide the support, level of care, and exposure necessary to maintain and sustain full recovery from an eating disorder. In addition, I have worked with both children and adults with eating disorders. In 2013 I attended training with Amy Baker Dennis, Ph.D., and expert in the field on the treatment of eating disorders. Dr. Cabral is board certified in both pediatrics and adolescent medicine. She provides specialized medical care for teens and young adults with eating disorders. She works at the Western Michigan University Homer Stryker M.D. School of Medicine as an assistant professor. Eating Recovery Center's mission is to provide the very best care to patients, families and providers of care in the treatment of, and recovery from , eating disorders and related conditions. We offer healing and hope for a lasting recovery to individuals and families suffering with an eating disorder. Utilizing a full continuum of care, we provide expert behavioral health and medical treatment for eating disorders in an environment of compassion, competence, collaboration, and integrity. A licensed, Joint Commission-accredited behavioral hospital, Eating Recovery Center was founded by team of leading experts whose goal was to fuse evidence-based findings and innovation to create a center of excellence for the treatment of eating disorder symptoms. Eating Recovery Center offer the full spectrum of eating disorders treatment services for female and male adults, adolescents and children, including Impatient, Residentials, Partial Hospitalization and Outpatient programs. Multidisciplinary treatment teams understand the challenges of eating disorder recovery and are deeply committed to guiding you or your loved one to a lasting recovery. Each treatment team consists of a psychiatrist, psycholinician, family clinician, dietitian, nurse, case manager, alumni coordinator and other related patient support staff. A full-time internal medicine physician is also available to all patients. Using an approach that includes more than treatment, Aloria Health in Milwaukee, Wisconsin, gives people the tools to become their best selves. Aloria provides care for individuals with food and body related issues as well as all eating disorder diagnoses including anorexia, binge eating disorder, body dysmorphia, bulimia, compulsive overeating, and orthorexia, as well as co-occurring issues. By valuing individuality and remaining comfortable with complexity, Aloria’s care integrates the social determinants of well being while addressing “how” a person is experiencing the present moment and what that information means to the context of that person’s life. Successful care results in an increased capacity to tolerate previously unbearable sensations within the present moment. Aloria Health is now accepting admissions for residential, partial hospitalization, and intensive outpatient care. Combining data-driven, evidence-based treatment with a fresh approach that focuses on total health and wellness, we are Alsana. An Eating Recovery Community with 10 locations nationwide, we provide superior care and support people on their journey to a recovered life. From the Latin root meaning “all” or “total health,” Alsana offers a philosophy of care that is centered on our clients’ full well-being, addressing the aspects of eating disorders that often go untreated in traditional recovery programs. Our passionate care teams incorporate innovative treatment methods to support recovery by targeting areas of the brain specifically affected by eating disorders. When combined with unique data and feedback from the client, we tailor interventions to meet the specific needs of the individual. At Alsana, we believe that full recovery is possible when an individual is approached collaboratively, and with compassion. We have developed a model specifically for eating disorder recovery that treats the whole person, addressing five dimensions through a collaborative and integrated approach: Therapeutic, Nutritional, Medical, Relational and Movement. (888) 822-8938. www.alsana.com. Rebecca is the Senior Director of Clinical Services for Alsana. She earned her Bachelor of Arts in Psychology with a minor in Sociology from the University of Missouri-Columbia, and her Master of Education Counseling and Family Therapy from the University of Missouri- St. Louis. Rebecca has years of experience leading group therapy sessions for all levels of care in body image, processing, core and guided imagery, and utilizes Somatic Experiencing, EMDR and Internal Family Systems in her work. She has provided individual and group clinical supervision for therapists since 2014 and developed a Career Advancement Program for new clinicians in 2015. Prior to joining Alsana, Rebecca interned at a community treatment program where she saw eating disorder clients for individual therapy and led the sexual abuse support group. Kiersten is the Associate Director at the River Centre Clinic and assists in overseeing treatment services and staff. In addition, she participates in outreach efforts and provides community and professional trainings on eating disorder signs, symptoms and treatments. She is a licensed social worker and chemical dependency counselor and earned a Master’s degree in Social Work from the University of Toledo. If interested in setting up a training, please email Kiersten at kbasilius@river-centre.org. Emily is a licensed clinical social worker and certified health coach at Reclaiming Health in Kalamazoo, Michigan. Using a holistic approach, her goal in working with clients is to help them take back control over their lives and their health. She meets clients where they are at in their wellness journey in a safe, respectful, and non-judgmental environment. Emily has received extensive anti-bias/anti-racism training through ERACCE and specializes in working with client experiencing high stress levels related to compassion fatigue, burn-out, and secondary trauma. Emily received her BSW from Western Michigan University with a focus in gender studies and MSW from Michigan State University. Abby is a Health Fitness Specialist who provides nutrition therapy for clients with eating disorders and is a certified diabetes educator. Office: 717 St. Joseph Dr., Suite 140, Saint Joseph, MI 49085. Shannon works in Family Practice including treatment of adolescents and adults with eating disorders. Victoria (Tory) is a licensed psychologist working in private practice with a focus on treatment of eating disorders and emotion-regulation disorders for over 10 years. Tory specializes in dialectical behavior therapy (DBT) and is certified as a DBT therapist through the DBT-Linehan Board of Certification. Office: 1011 W. Maple St. Ste 150 Kalamazoo, MI 49008. (269) 598-5861. Cathy is a professional counselor with an interest in helping individuals with dysfunctional eating behaviors. In addition to counseling she also is a registered dietitian and brings this knowledge to each session. Cathy received her BS in Nutrition at University of Nebraska and most recently her MA in Counseling Psychology at Western Michigan University in 2014. Kristin is an experience Yoga Alliance Registered teacher and the owner of Down Dog Yoga Center in Downtown Kalamazoo. She provides Yoga and Mindfulness offerings for clients with eating disorders and promotes general health and well-being in our community. She feels Yoga is a great support to traditional therapy. "My goal for nutrition therapy is to help clients develop a healthy relationship with food; so that any food may be enjoyed without guilt or anxiety. There is no perfect eating, but allowing a balanced intake to meet nutrition needs is extremely important to support recovery. It’s hard work, but so worth it!" Deb completed a B.S. in Dietetics from Michigan State University and an M.S. in Nutrition & Food Science from Wayne State University. She is a Registered Dietician from the Academy of Nutrition and Dietetics. 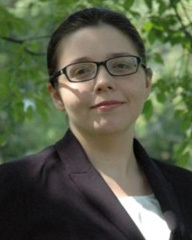 Kristine is an Assistant Professor of Pediatric and Adolescent Medicine at the WMU Homer Stryker MD School of Medicine. She received her MD from Indiana University, and her residency training at Spectrum Health in Grand Rapids. She is a diplomat of the American Board of Pediatrics and a Fellow of the American Academy of Pediatrics. Anna is a licensed social worker at the River Centre Clinic and Director of the Childhood Eating Problems Program. As part of her education and training, Anna completed internships in settings providing experience in working with children, adolescents and families. She currently provides individual and family therapy to persons suffering from childhood eating problems as well as a range of other problems encountered during childhood, including but not limited to: ADHD, anger management, anxiety, Autism Spectrum Disorders, behavioral problems, Conduct Disorders, depression and phobias. Anna earned her Bachelor’s degree in Psychology from Bowling Green State University, and obtained a Master’s degree in Social Work from the University of Toledo. Flori received her MSW degree from Western Michigan University. She is currently a counselor for Southwestern Medical Clinic (an affiliate of Lakeland Regional Heath System) and works with children, adolescents, and adults with a variety of issues, including eating disorders. She was instrumental in opening Well of GRACE Ministries, which offers programming for young women who struggle with a variety of emotional, spiritual, and relational issues. Her experiences at The Well have created a passion, purpose and expertise for treating young women. She is a member of the American Association of Christian Counselors, the National Association of Social Workers and the Southwest Michigan Eating Disorder Association. Cortney is a professional counselor in Kalamazoo with a strong clinical interest in treating eating disorders, personality disorders, and Obsessive-Compulsive Disorders with evidence-based therapies such as Dialectical Behavioral Therapy and Cognitive Behavioral Therapy. She received her Master of Arts in Counselor Education from Western Michigan University and has been in practice since 2015. The River Centre Clinic (RCC) has been providing specialized and cost-effective treatment for individuals suffering from eating disorders for more than 20 years. We follow a well-established therapy model that integrates individual, group and family therapies. River Centre Clinic staff are pioneers in the development of an enhanced cognitive-behavioral therapy specifically designed for treating eating disorders and co-occurring conditions. Our Adolescent Residential Program and Partial Hospitalization Program for adults provide female and male patients who have serious eating disorders with a higher level of structure and support than is possible during outpatient treatment. Our treatment programs are developed and customized for each patient as every patient’s eating disorder is unique. In addition, we offer outpatient treatment services including a Childhood Eating Problems Program for children with eating difficulties that are causing issues with proper nutrition and growth. We have agreements with major insurance companies and are often able to secure single case agreements with insurance companies that we are not currently contracted with. Complete the Initial Information Form on our website or call and speak to one of our Intake Specialists for more information. 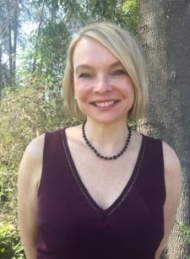 Leading Alsana’s clinical quality activities, clinical data systems and clinical training, Dr. Nicole Siegfried is a licensed clinical psychologist and Certified Eating Disorder Specialist. Nicole is a recognized leader in the field of eating disorders and previously served as National Director of Eating Disorder Program Development at Alsana. She is currently an Adjunct Associate Professor at University of Alabama at Birmingham and has also served as Associate Professor of Psychology at Samford University. Nicole is an international presenter in the field of eating disorders and suicidality and a member of AED and former Co-Chair of the Suicide AED Special Interest Group. Nicole has almost 20 years of experience working with patients with eating disorders and helping to transform their lives. Gary is a Licensed Professional Counselor and a Limited License Psychologist who founded Cognitive Behavior Solutions in Kamamazoo. He specializes in the treatment of eating disorders, anxiety disorders, and personality disorders. Gary has been integrating Dialectical Behavior Therapy and other Cognitive Behavior Therapy approaches toward eating disorders for over 10 years. Gary uses these evidence-based treatments to target the co-occurrence of eating disorders with other diagnoses. Lindsay is a licensed professional counselor and registered play therapist who specializes in the treatment of children, adolescents, and adults with eating disorders. She has a MA in Counselor Education and Counseling Psychology from Western Michigan University. Timberline Knolls Residential Treatment Center designs individualized therapeutic programs for the treatment of eating disorders,alcoholism, drug addiction, mood disorders, trauma/PTSD, and co-occurring disorders.